Luxury watches have long been documented to take over the depths of the sea, but a new breed of amphibious species has been reigning the surface too. Yachtsmen have long relied on digital models, which are more than equipped with esoteric features that not only allow skippers to set a course, but also countdown before the start of their regattas. Now, mechanical watches are getting increasingly equipped to do the same, only in a more sophisticated fashion. These watches not only bring out the prestige in the sport of sailing, they also showcase finesse when you’re not negotiating hard-hitting waves and unpredictable winds. 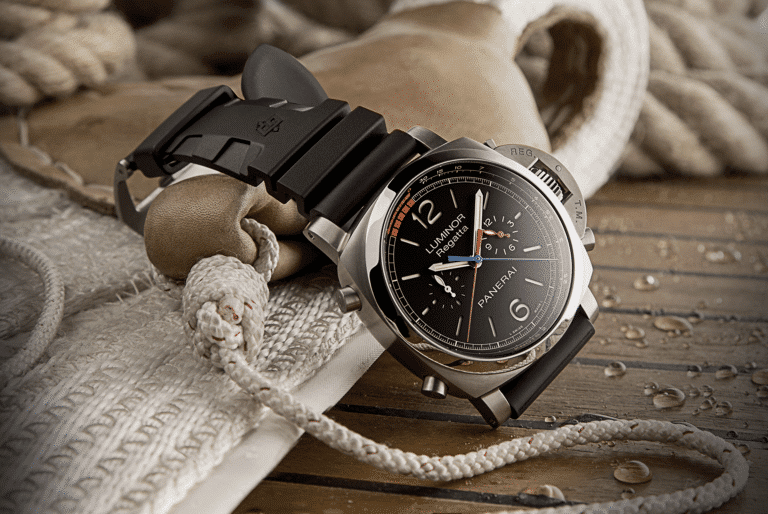 It’s never too late to learn the ropes; here are some of the best sailing watches now. Little surprise that Rolex has made the list, seeing how it has been a committed partner in some of the most prestigious yacht clubs and regattas around the world. Like the original Yacht-Master II in 2007, this iteration also has a rotating Ring Command bezel. The function was a revolutionary countdown that can be programmed from one to 10 minutes, allowing skippers to precisely time and follow each race’s official starting procedure. While the entire system appears to be complex, Rolex prides itself on making the timepiece as simple to use as possible, integrating the bezel as a mechanical movement into the movement. Held back from SIHH 2019 to launch at the Miami Yacht Show instead, the Ulysse Nardin Marine Mega Yacht timepiece looked right at home amidst the real mega yachts. At 44mm, the watch is a grandiose sight to behold on the wrist, with plenty of features that reference to the luxury vessels. 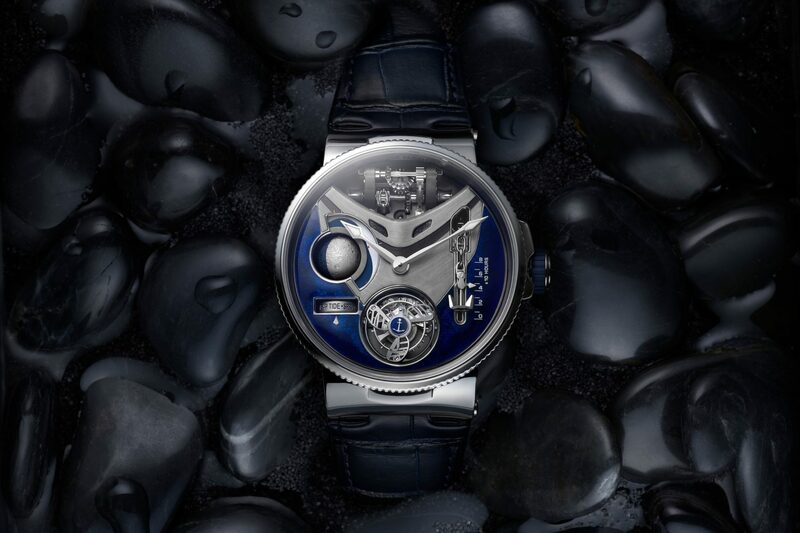 While there’s plenty going on on the dial, the first you’ll notice is a bow cutting through a sea of blue grand feu enamel, while a flying tourbillon — visible through an open window at 6 o’clock — is accompanied by a propeller-style cage that spins simultaneously. 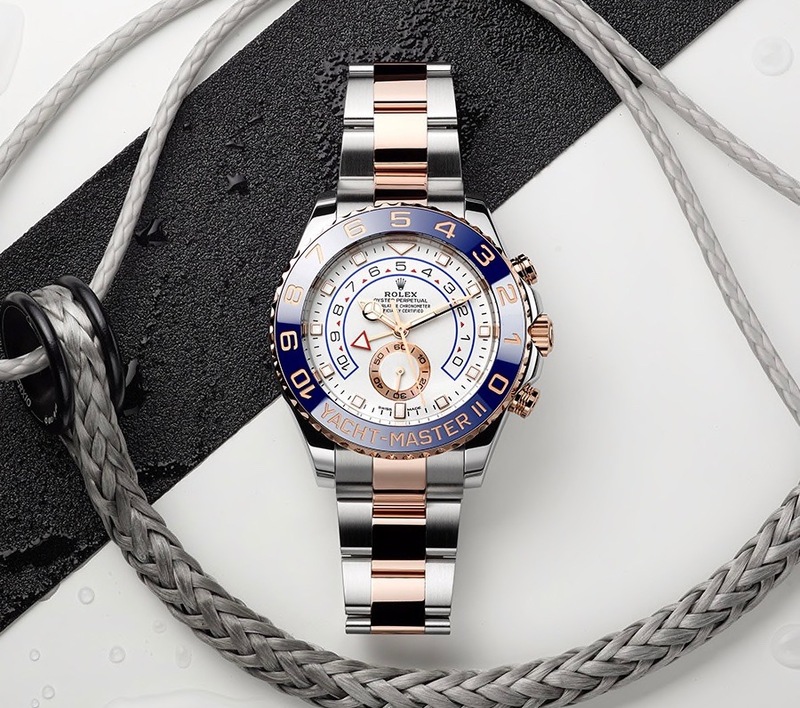 An anchor serves as a power reserve indicator, brought to life by a small chain that appears to pull it up or let it down as the hours go by, adding an animated touch to the high-end boating theme. However, the most intriguing complication of the watch remains to be the moon phase mixed with tide chart, where a drum-shaped indicator works with a spinning three-dimensional engraved moon to display the height of the tides in real time. 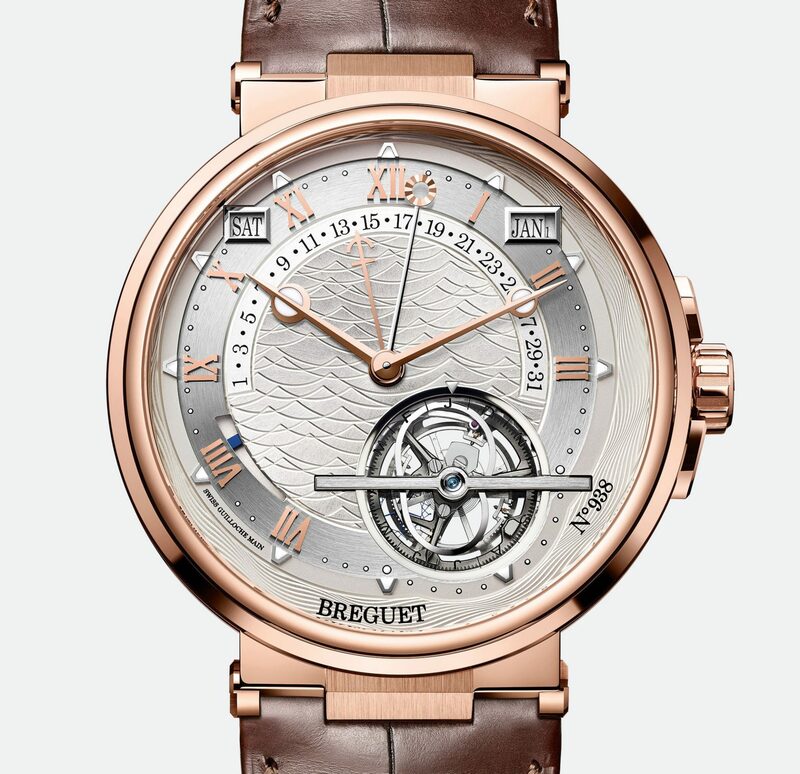 Breguet isn’t stranger to groundbreaking technology, but it’s interesting to see how the watches still manage to retain a very classic and stylised look. The Marine Équation Marchante 5887 follows this principle to a tee. In the rose gold model, a running equation of time display is set against a silvered dial that’s made of gold and engraved with wave-like motifs, indicated by matching hands that tell both the civil and true solar time. At 43.9mm, the timepiece is imposing yet keeps its elegance with Breguet’s signature fluted case band and Roman numeral hour markers. Besides the hours and minutes, the watch also features a perpetual calendar, tourbillon, and 80-hour power reserve. As the toughest and longest offshore sailing race, the Volvo Ocean Race is the ultimate test of a sailor’s endurance as they navigate their way through 45,000 nautical miles of some of the most harshest conditions. Omega’s Planel Ocean Deep Black was created to withstand the gruelling 20-day long affair. Limited to just 73 pieces, the robust 45.5mm watch is carved from a single black ceramic block that’s resistant to extreme activity, with a water resistance of 610m. 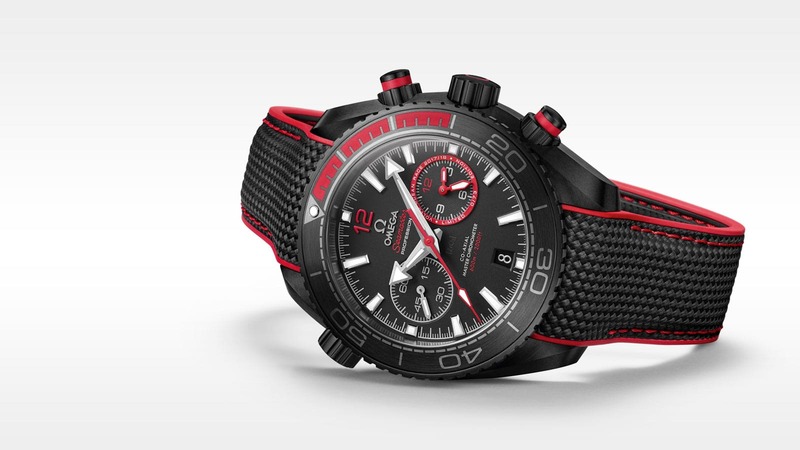 The special edition is also individually numbered, with a red Volvo Ocean Race subdial. Housed within an ultra-light yet incredibly strong platinum case, this Panerai Luminor 1950 is built for the rough seas and beyond. A bold black dial contrasts the rest of the markers and hands on the timepiece, with a chronographs hour counter at three o’clock, seconds subdial at nine, and central chronograph seconds and minutes hands. Interestingly the P.9100/R Panerai movement within also features one of the rarest chronograph functions in high-end watchmaking with a countdown stage preceding the race, making this iconic silhouette all the more covetable within the international sailing circuit.